Traveling outside of the country doesn’t have to be expensive. There are ways to save on everything from plane tickets and food to hotel accommodations. One easy way to cut costs when you’re abroad is to avoid paying unnecessary fees. For example, if you can avoid a foreign transaction fee, you can save between 1% and 3% on international transactions. Here are five ways to dodge foreign transaction fees and international ATM fees. If you hate paying foreign transaction fees, you might want to find a credit card that doesn’t charge you for making purchases overseas. Many major credit card issuers offer these kinds of cards, including Chase, Capital One and Discover. Credit cards without foreign transaction fees can save you money even when you’re not traveling. You can be charged an international transaction fee while you’re shopping domestically if the merchant who processes your transaction is based in a foreign country. Before you apply for another credit card, however, it’s important to think about how it might affect your credit score. You can also get hit with a foreign transaction fee for using your debit card while you’re visiting another country. These fees can add up quickly, especially if you travel abroad on a regular basis. That’s why you might want to consider opening an account with a bank that doesn’t penalize you for making purchases or withdrawing cash overseas. Capital One 360 doesn’t charge its customers fees when they use foreign ATMs. Discover Bank doesn’t either. Neither of these banks charge a currency conversion fee. That’s a fee you can incur from a transaction that shows you how much you’re spending abroad in your own country’s currency. Another way to get around paying a foreign transaction fee is to exchange currency before you leave the United States. If you create a budget for your trip, you can estimate how much you plan to spend and how much cash you’ll need. Your bank or credit union may sell you foreign currency without requiring you to pay an additional fee. This is by far one of the best ways to get access to foreign funds and decent exchange rates. If you use a prepaid debit card or try to exchange currency elsewhere (like at the airport or your hotel), you could end up paying other costly fees. If your bank or credit union charges a fee each time you use an out-of-network ATM, you could easily run through all the money you saved for your trip. But if you buy enough foreign currency before you leave town, you won’t need to use a foreign ATM at all. 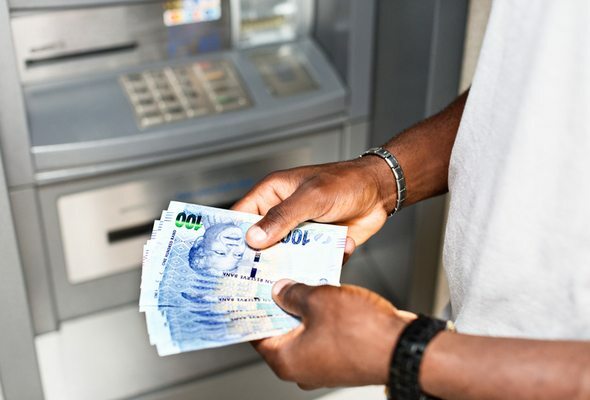 If you have to withdraw money from a foreign ATM, it’s best to get all the cash you need at once so you don’t have to pay additional fees later on. If you don’t want to carry around wads of foreign currency, you can ask your bank if it has an ATM alliance with a financial institution in the country you’re traveling to. For example, if you bank with Bank of America, you won’t have to pay a fee for withdrawing money from a Deutsche Bank ATM in Germany and Spain or a Scotiabank ATM if you’re traveling to Mexico, Canada or Peru. But you may get hit with a fee when your bank converts your dollars to the local currency (unless you can find a way to get this fee waived). Foreign bank and credit card fees can be a real pain. If you’d rather spend your money on tourist attractions and souvenirs, it’s best to find ways to avoid paying extra money when traveling abroad.